Sick of spam in your mailbox? Or even worse… scam and phishing e-mails and virus laden junk? Mullarky Business Systems offers the Barracuda Email Security Service to small businesses. The Barracuda service is very effective, and offers the best “out of the box” performance of any spam filter we’ve used. The Barracuda spam filter inspects e-mail before it reaches your mailbox. 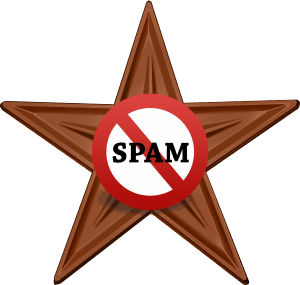 Viruses and obvious spam are stopped cold, while likely spam goes into a quarantine. Each user gets a daily ‘digest’ e-mail with a list of the quarantined messages. Barracuda’s pricing can be a deal-breaker for small businesses. Spam Filtering Service at Affordable Prices! We’ve purchased the service and sub- divided it, so even small companies can afford it. There’s an initial setup fee, then the service costs less than $2 per mailbox per month thereafter. Obviously, we’re not going to make a lot of money doing this – that’s not the point. This is a valuable service that we offer at a reasonable price – bringing big-business technology to small businesses in our service area: Waukesha, Jefferson and Milwaukee counties. Call us to discuss this service – or any of our other services! The Barracuda Email Security Service leverages Barracuda Central to identify email from known spammers and determine whether domains embedded in email lead to known spam or malware domains. It leverages many of the same industry-leading techniques found in the Barracuda Spam Firewall that protect against attempts to embed text inside images with the intent of hiding content from traditional spam filters. As virus attacks become more sophisticated and complex, email infrastructure requires advanced virus protection. The potential for the destruction and release of information; or the disruption of a network severely impacts productivity and can lead to financial loss. The Barracuda Email Security Service scans email and incoming files using three powerful layers of virus scanning technology. It also decompresses archives for complete protection. Powerful virus definitions are automatically updated to maintain the most up-to-date protection against email-borne viruses. We’re pleased to offer Value-Added Barracuda services in Jefferson, Waukesha and Milwaukee Counties as a Barracuda VAR (Value-Added Reseller). For best results, contact us before you begin implementing ad hoc solutions.